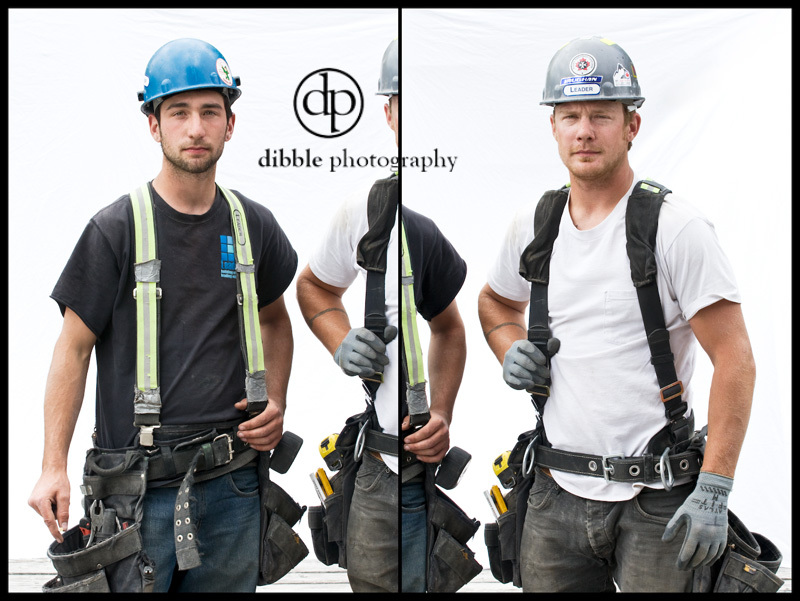 I showed my series of construction worker portraits finally. In the Other Gallery at the Banff Centre. I couldn't have hung it any closer to where all these guys were working unless I put the exhibit in the constrcution zone. I was really hoping they would come and see what turned out to be lovely prints of their portraits. Not so much. A few came, but it wasn't the meeting of construction worker and art gallery that I was hoping for. I did not show this image, although it is my favorite from this series of work. I stuck to the black and white format for all the photographs in the show. Spencer and Tyler Rule. Brothers.